Today, online plant hire equipment database iSeekplant launches a new video marketing campaign which follows the story of Darryl, a typical Aussie bloke struggling to get work for his franna crane. In an attempt to earn some extra cash, Darryl, using his franna, signs up to be a ridesharing (i.e. Uber) driver. 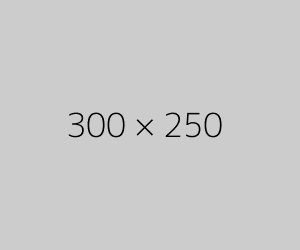 iSeekplant is well known in the construction and mining industries for their humorous takes on industry events and issues. 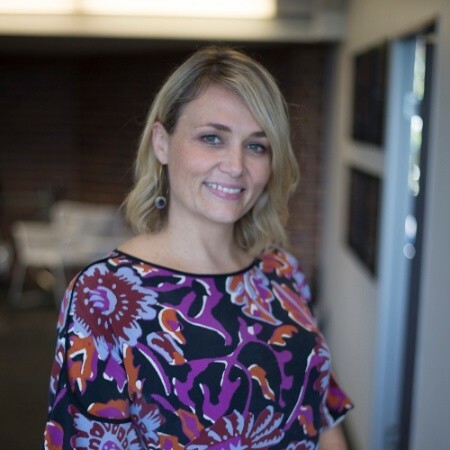 CEO Sally McPherson is very proud of being one of the leading voices in the industry, and wants to use that platform to talk about major issues while sticking to iSeekplant’s famous wit. “The construction industry is dominated by thousands of small business owners who own a single piece of machinery. These hard workers need to manage their business while also operating their machine, which can be really difficult. With ‘The Driver’ we wanted to tell the story of one of these little guys in the construction industry. "People like to say that iSeekplant is Uberising plant hire. And it that's a concept that we laugh at internally. So we thought we would share that joke with the wider industry!" 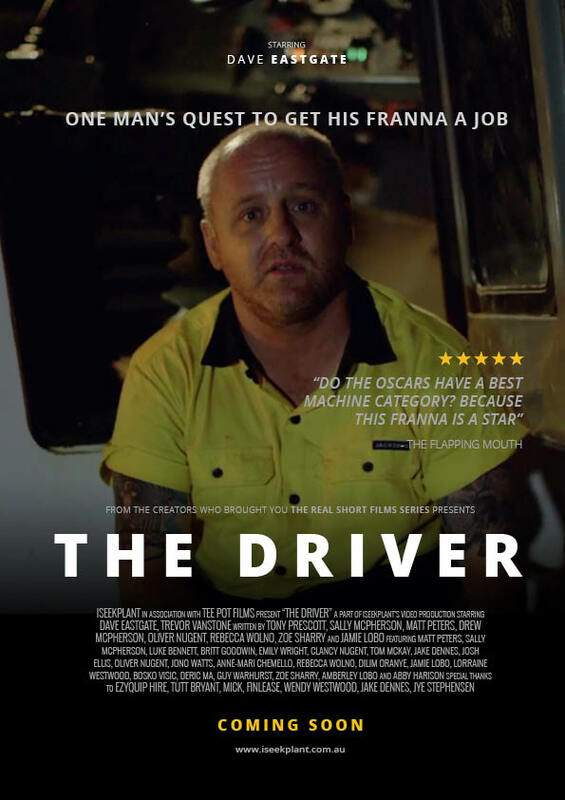 ‘The Driver’ is filmed in a gonzo documentary style and follows Darryl over an afternoon and night as he drives people around in his franna crane. Darryl does everything you would expect from the quintessential Aussie tradie offering his passengers a unique experience to say the least. From helping a pregnant woman up the steep steps of his franna to offering his first customer an “iced coffee and Winnie Red” Darryl proved he was 100% genuine in his attempts to put the passenger first, as his 5 star rating will attest. But, unfortunately driving passengers around just isn’t in Darryl’s blood and as the night progressed it became clear his heart just wasn’t in it. Eventually, Darryl was using any excuse he could find to actually operate his Franna. Across the night he used the winch to deliver food to one hungry, frustrated customer and even lifted a young lady who’d had a bit too much to drink to her balcony. Perhaps, the saddest part of iSeekplant’s evening was Darryl’s self realisation that despite earning about “$30 to $40 an hour” his franna used up about “50L of diesel an hour” which, unfortunately for Darryl, costs $1.35 a litre. 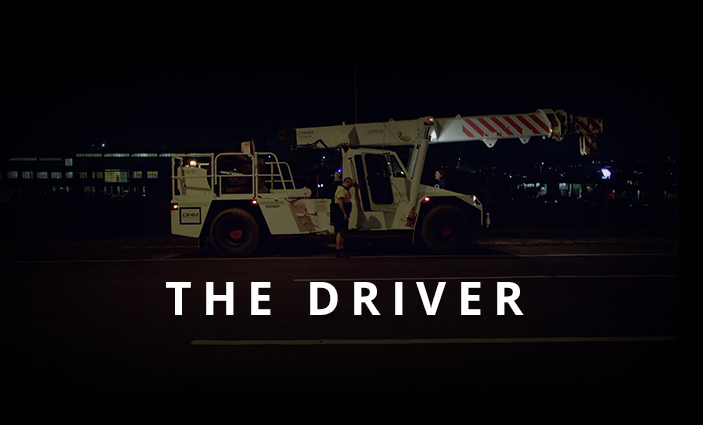 ‘The Driver’ stars comedian Dave Eastgate who portrays the downtrodden, ultra-Australian Darryl perfectly. Furthermore, The Driver has been directed by LA based Australian director Tony Prescott, who’s debut feature film ‘The Pretend One’ will be premiering this month. A special thanks to Tutt Bryant and Ezyquip Hire for their invaluable assistance. Without these companies generosity, we never would have been able to get this project done. From providing the famous franna, sorting us out with a skilled driver, and letting us use their yard, these guys came through time after time!